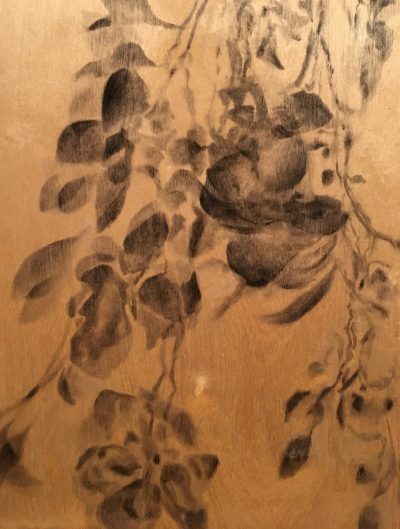 Local artist Anita Tuccillo, a professor of art at Illinois Central College, will have works displayed in an art show entitled The Shadow opening February 14 in Gallery 336B, located in the Academic Building on the East Peoria Campus. A free, public reception will take place in the gallery on February 14 from noon to 2 pm, with an artist talk scheduled for 12:30 pm. Tuccillo is an educator, designer and painter. She received her bachelor of fine arts degree from Indiana University in Bloomington and her master of fine arts degree from the University of Notre Dame. After graduate school, she moved to New Mexico and taught at The University of New Mexico, worked for The Harwood Museum, and designed for Lo Fino. After moving to Peoria, Tuccillo taught art at Peoria Notre Dame High School, Bradley University and currently teaches full time in the Arts & Behavioral Sciences Department at ICC. In her exhibit, The Shadow, Tuccillo focuses on the ever-changing beauty of shadows and tries to capture their essence in her paintings. The exhibit runs through March 9. Hours of operation for Gallery 336B are Monday through Thursday from 9 am to 5 pm, and Friday from 9 am to noon.